In the wake of the massacre at two mosques in Christchurch, New Zealand, last week, deputies from the Santa Clarita Valley Sheriff’s Station stepped up patrols around local mosques and tried to reassure local Muslims. Deputies received a large bouquet of flowers Saturday in appreciation. “Deputies have had an increased patrol presence around the mosques throughout Santa Clarita Valley following the senseless acts of violence that took place in New Zealand. “Although there have been no direct threats locally, we want to offer our support and reassurance. 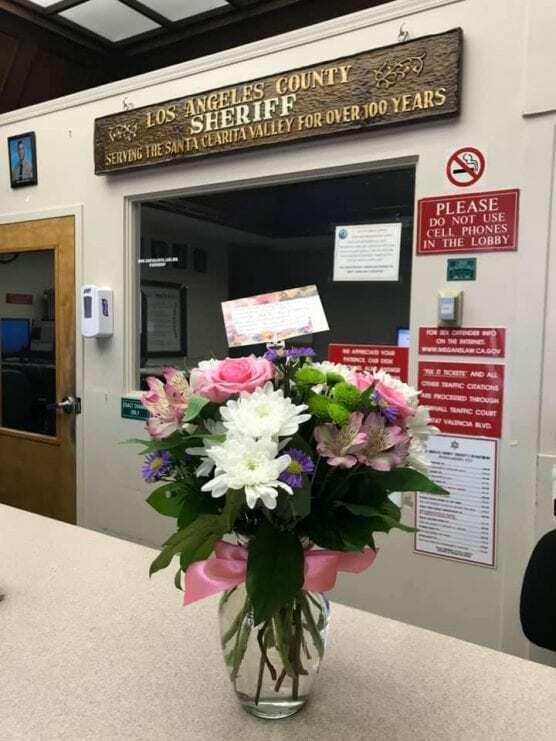 “On Saturday, an unexpected delivery of flowers was dropped off at the sheriff’s station as a gift of gratitude from the SCV Muslim community to the patrol deputies for their professionalism and kindness in protecting them.